Herbalist, Forager & Natural Cosmetic-Maker. Start to learn from Vivienne today, wherever you live in the world. 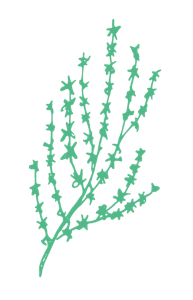 Why learn about local therapeutic plants? 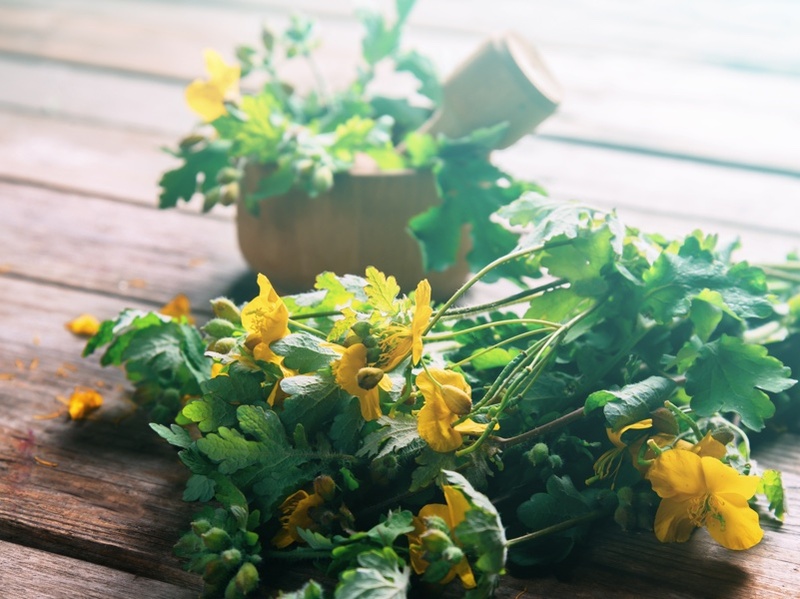 Learning to use fresh, nourishing, local herbs can help to maintain good health and boost vitality. 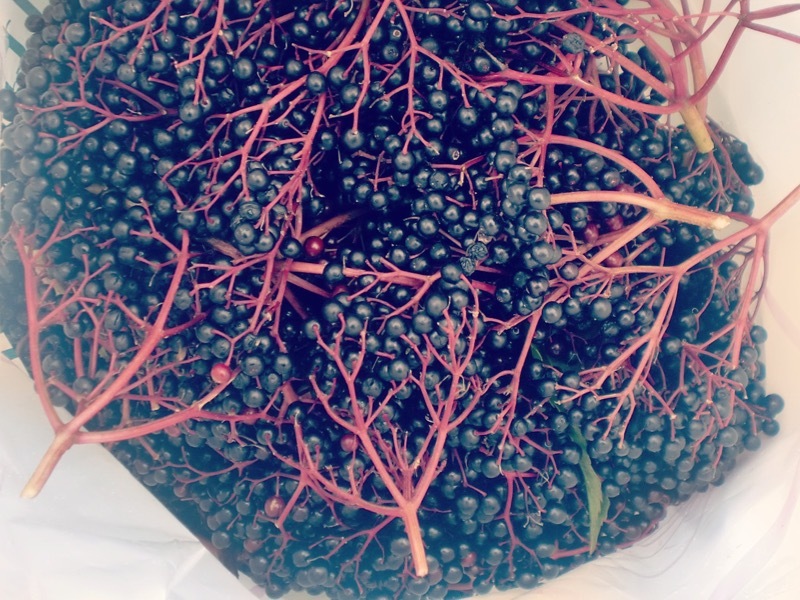 Fresh air and exercise while you pick them; nutritional benefits when you consume them! 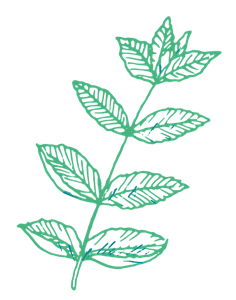 Reduce your exposure to harmful chemicals in your life by learning about safe natural ingredients and how to use them to make your own effective natural products at home. 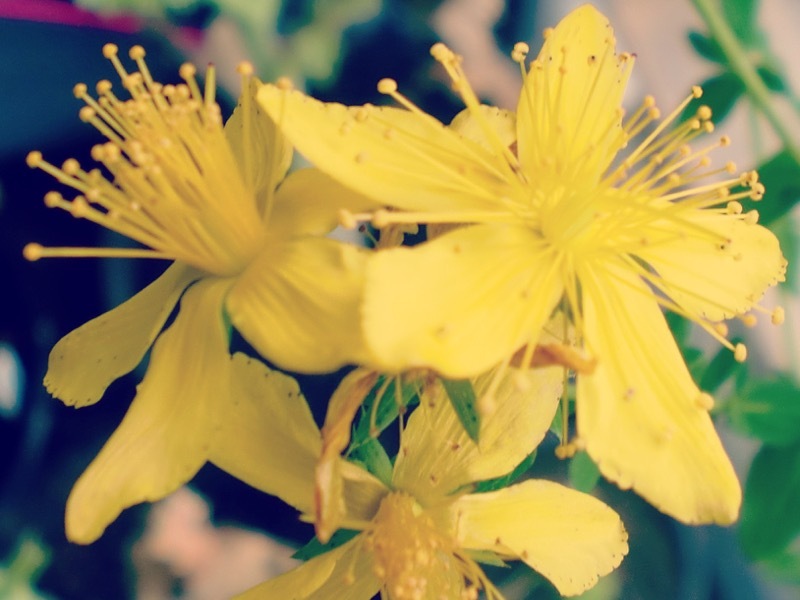 Discover the joy of beginning to recognise therapeutic plants that grow around you. A delightful and fulfilling activity that changes the way you see the landscape forever as you develop these life-enhancing skills. "This lady is a force for green power! What an inspiring, energetic and contagiously enthusiastic talk. So grateful to be in the room." “Can’t wait for next year’s additions. 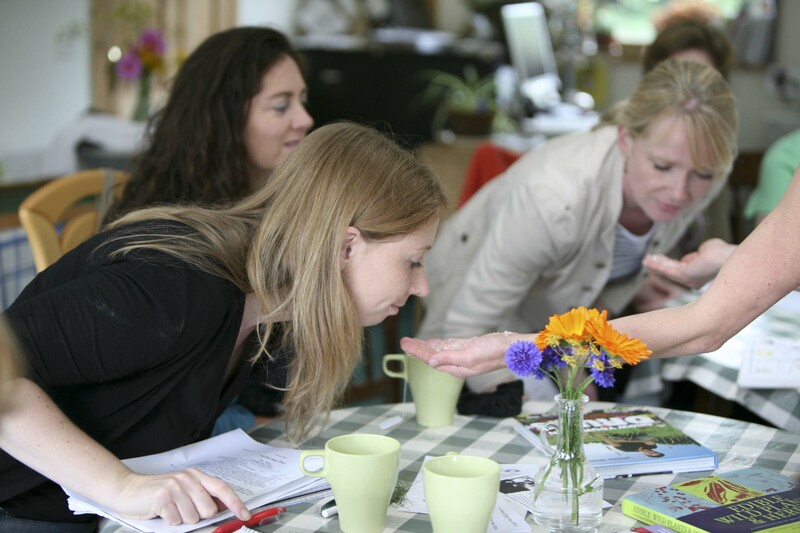 “Thanks Vivienne, Very enjoyable and informative class. “So interesting, hands-on and the spa treatments were a lovely ending. “Just finished that serum we made in your class. It was the best thing I ever used for my skin. “Informative, lovely atmosphere, great location, fun. Cosmetics class, Ennis, Ireland, 2015. "I am just sending an e-mail to you to say thank you for the 1st series of your E-course. I found it very interesting, full of useful information, easy to follow and profound in knowledge. I made Hawthorn syrup for the very first time in my life and it is delicious with ice cubes especially on a hot summer day. So thank you again and I am looking forward to the next series." "You've given us SO MUCH useful info in such a good, clear form. "I know I've said it already, but I'm in heaven with this course! Best thing I ever did. You're so enthusiastic yourself and so generous with your time and knowledge. It's great that people from around the world can access it too." 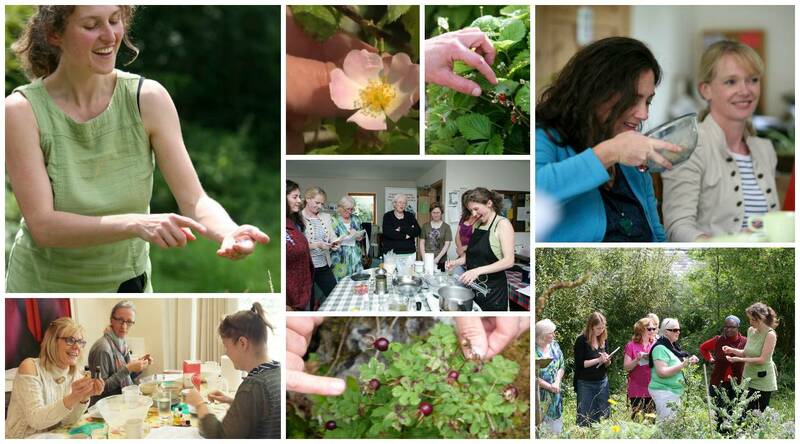 Want to learn about immune-boosting berries, first aid plants to ease bumps & bruises or traditional tonics to increase vitality? 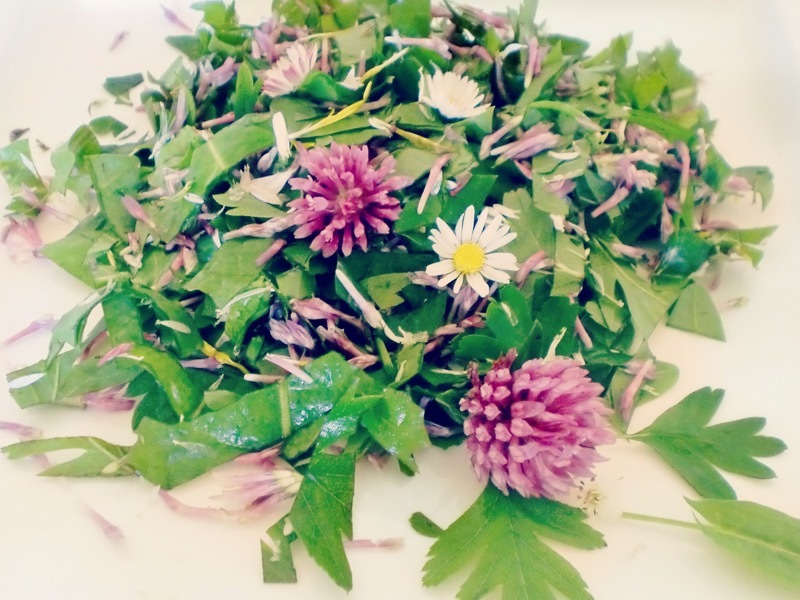 Herbal extracts are easy to make when you know how and some are absolutely delicious! Discover cordials, tinctures, syrups, oxymels, herbal vinegar, poultices, infused oils, ointments and much more. 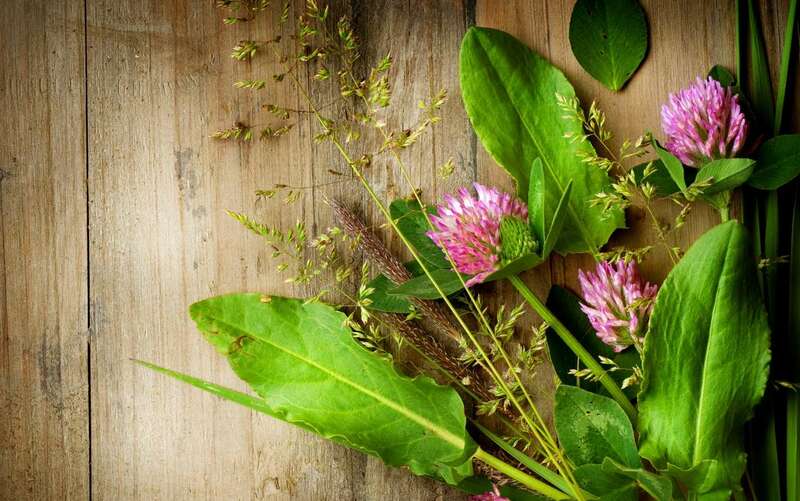 Nature provides an abundance of plants that nourish and improve the health of the skin and hair. It’s such a joy to begin to use beautiful flowers such as roses, lavender and calendula to make your own beauty treatments. 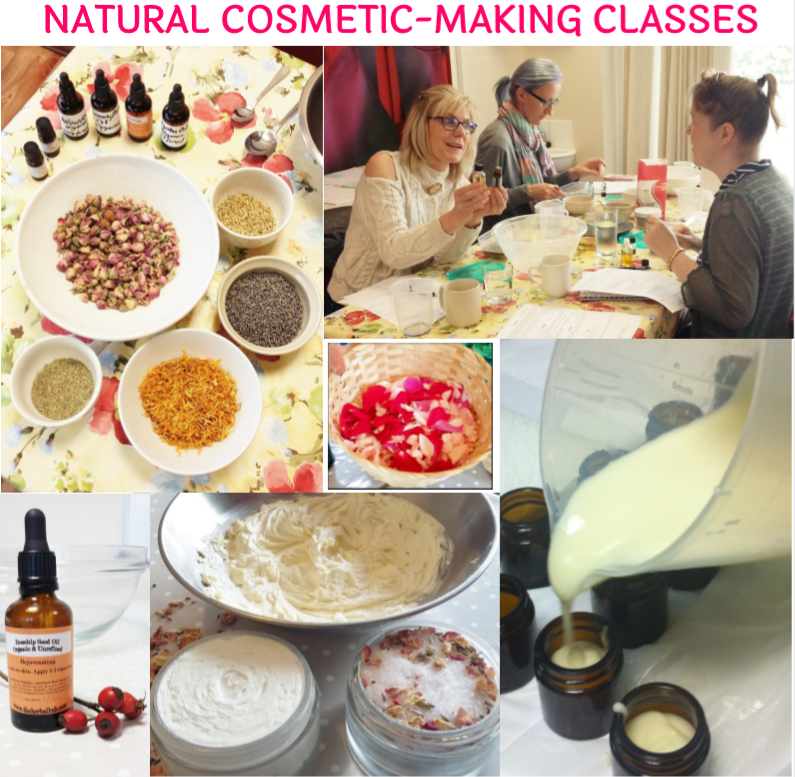 Learn how to make your own genuinely natural cosmetics in my live cosmetic classes (at various venues around Ireland) or my new online course (launching in 2018). Did you know that there are plants growing around you that are highly nutritious edible wild foods? The common daisy (Bellis perennis) contains nearly as much vitamin C as lemons. 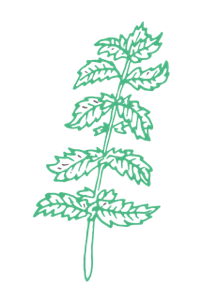 Nettles (Urtica dioica) are rich in iron, calcium and magnesium in a form that’s easily absorbed by the body. Enrich your diet and enhance your health by starting to include a few safe, edible, wild plants in your diet. 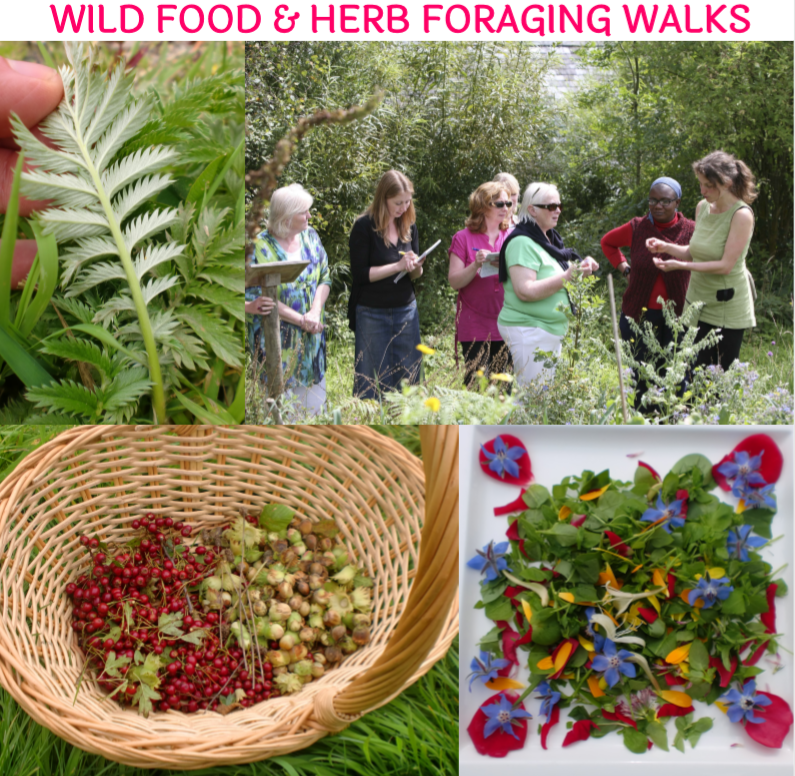 Looking for and collecting wild herbs can turn a family walk in to an exciting adventure. Preparing the herbs and cooking them in to delicious drinks such as cordials is an activity that adults and children can really enjoy together. And at the end you all get to drink the fruits of your labour! A lovely way to spend quality time together, encourage the kids to engage with nature and make happy memories. 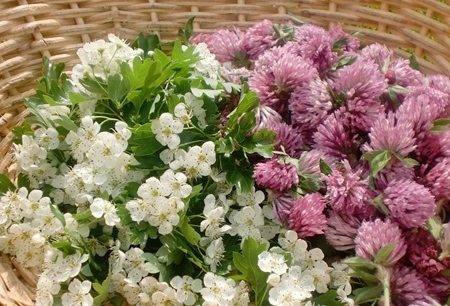 Start to enjoy the pleasure of learning about the therapeutic herbs in your landscape. No homework! Learn at your leisure whenever you want, year after year. Just watch the lessons and get going whenever it suits you. WHAT’S INCLUDED IN THE ONLINE COURSES? 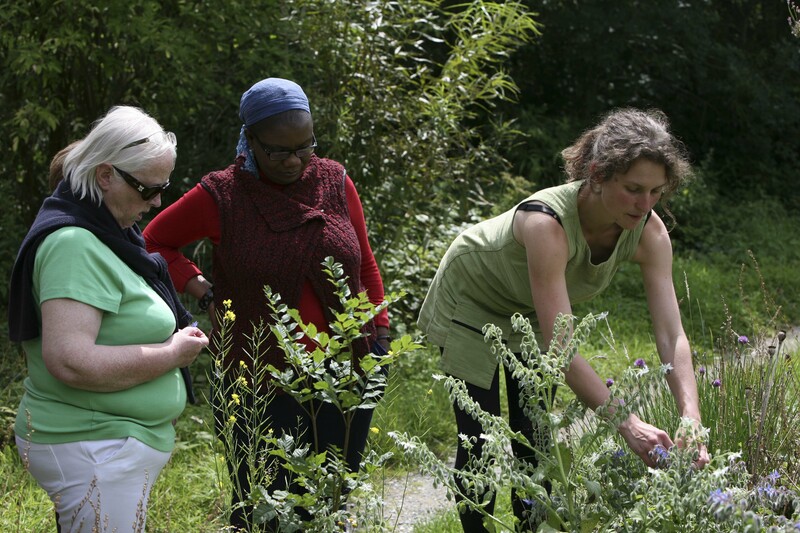 Each course has been specially designed to help you to begin to recognise and use the plants that grow around you in different seasons. 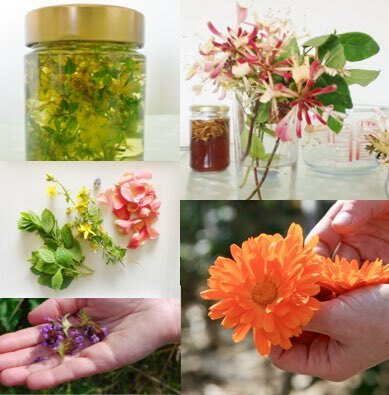 Easy-to-identify edible and medicinal herbs, flowers, fruits and roots are included. 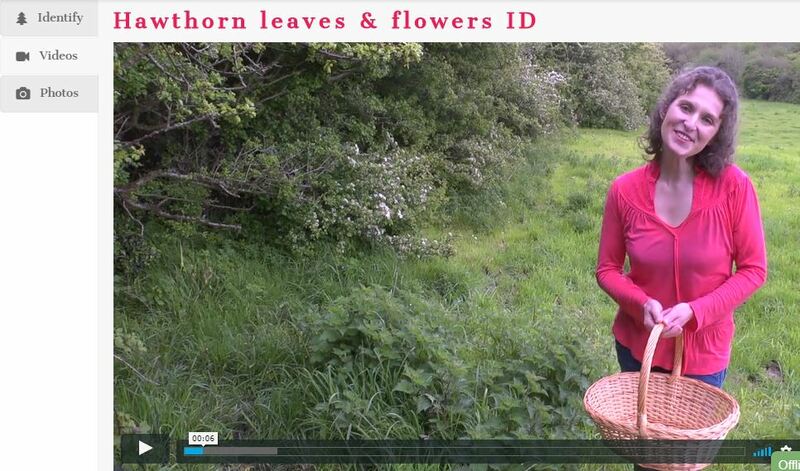 •	Identification videos and photos for every plant. 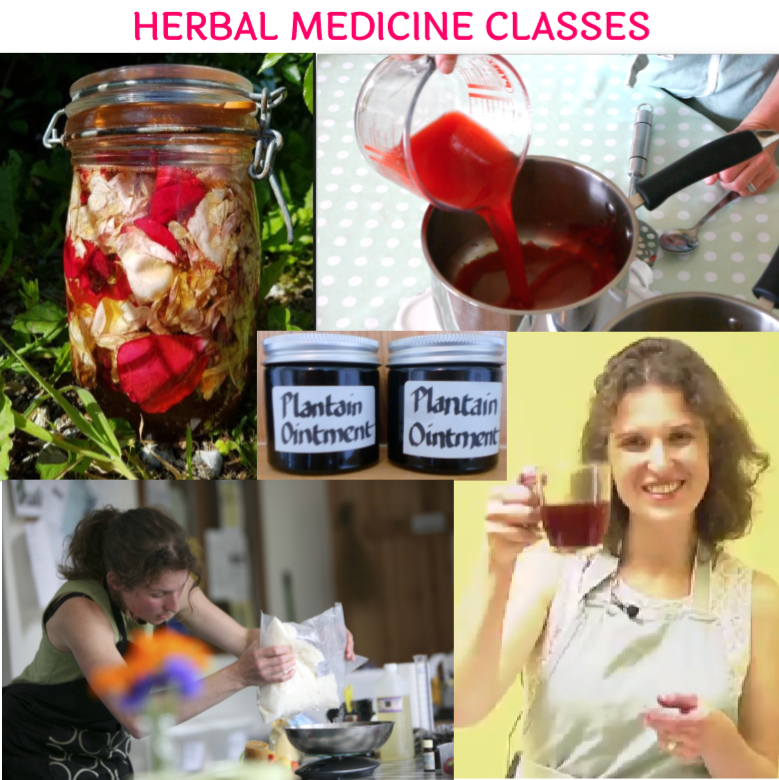 •	Videos demonstrating how to make herbal remedies. 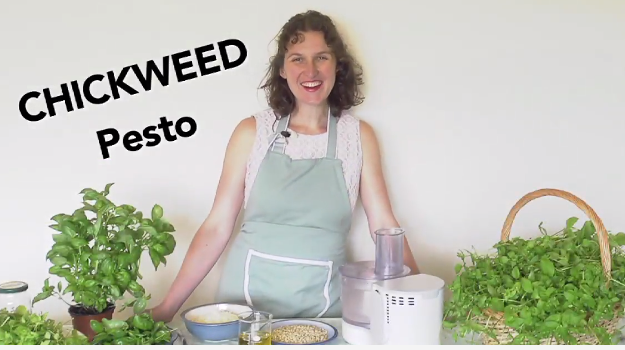 •	Videos of how to cook with wild plants. •	Step-by-step photo lessons and detailed recipes. 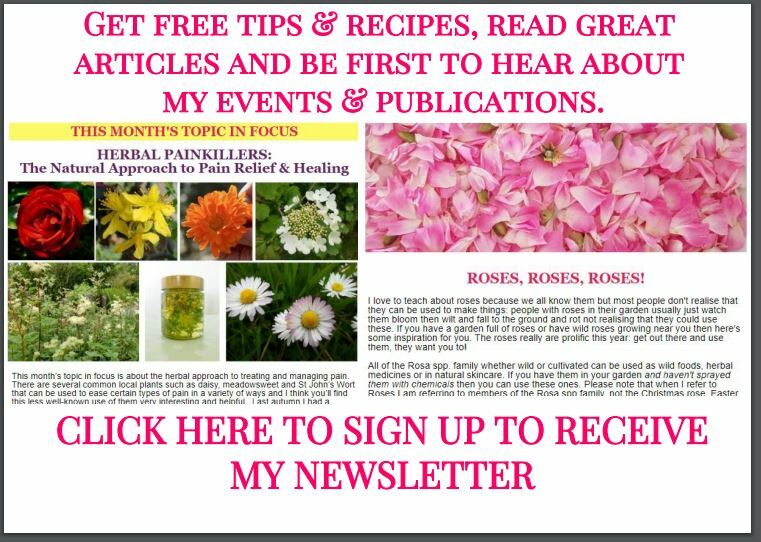 •	Instructions on how to use plants to make safe and effective herbal remedies. 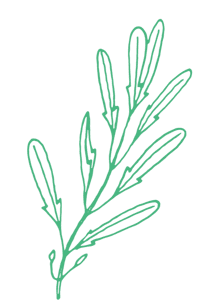 •	My guide to where to find herbs when you live in the town or city. The amount of information online can be overwhelming for people: it takes experience to tell the reliable sources of info from the bad ones. 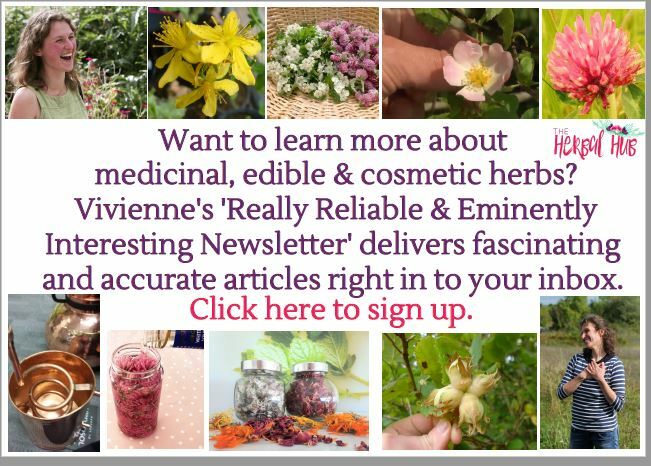 My new regular newsletter about medicinal, edible and cosmetic herbs goes out twice a month. which you can learn to use simply and joyfully at home. You just need a guide to show you how.